Five years have gone by since I made my first call to Jim, a Partner at a lucrative Silicon Valley Venture Capital Group. This investor knew me well during my years in engineering and technology as many start-up companies used my company to help them design and manufacture products. He had hand-picked me to act as a consultant to his Venture Capital firm to help filter through the influx of business proposals from entrepreneurs from over fifty countries coming to him with their dreams and brilliant product ideas. By that time in the firm, I had watched dozens of companies receive their share of capital infusions. Some have come to be huge successes while others had burned through cash like it grew on trees. In all the years I had known Jim, he had not sounded more distant than he did on that call in 2010. Why? I made the mistake of pitching him. The pitch? Investing in Hollywood. The Horror! The taboo investment that even risk-takers who infused 100s of millions of dollars during the dot com era didn’t even entertain — much less actually pursue — the idea. Jim was curt and, I sensed, somewhat shocked, perhaps, because I had migrated to what he felt was such a high-risk, uncontrollable industry. After twenty or so awkward minutes on our call, in which we clearly were not seeing eye-to-eye, I bowed out of the conversation, and, for a time, put away my list of potential VC firms, and did not return to prospecting. In 2011, I took the risk and invested into my own career in entertainment. I set out to discover what I did not know, namely, why is it that investors cringe when they hear the phrase “film financing”? I traveled to 16 countries during one of Europe’s coldest winters and acquainted myself with many foreign distributors and sales agents at their offices, in their own countries. I met and interviewed several executive producers who had had box office hits and who had had box office failures, eliciting the truth from their perspective, as no one from Hollywood was around. Based on hundreds of vital conversations I had with producers, distributors and studio accountants, I learned more than I could ever imagine. During this time, I also kept a pulse on the VC world and tracked VC spending. Watching the numbers of VC funding rise in 2013–2014 was thrilling. With more faith in the market, I felt confident that this was a ripe time to revisit my Venture Capital prospecting list. My assessments of a new willingness on the part of VC firms to evaluate the idea of a film (with an investor-friendly designed business plan) were confirmed in August 2014; Andreessen Horowitz, a very well-known and conservative VC invested $50 million into Buzzfeed Motion Pictures. Wow. A game-changer. And literally minutes after the Horowitz/Buzzfeed financing news hit the media, guess who called? That’s right. Jim. We caught up, laughed and engaged in a serious discussion about that previously taboo subject, film finance. A couple of months later, stakes were raised again when PalmStar Media Capital closed a multi-year financing agreement with and wrote a hefty check of $200 Million to Thunder Road Pictures. To all of you filmmakers; while the rest of Hollywood waits around, why not be proactive and get serious about grooming your slate of film and TV projects? 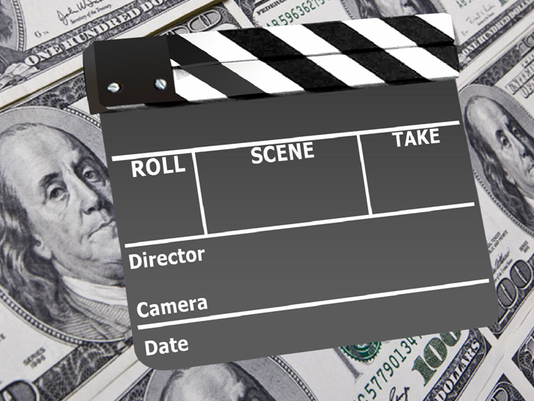 Do your due diligence and prepare (or have prepared for you) business plans geared specifically to make your project investor-ready — by a team equally versed in the world of film production and the world of finance. Network your connections with the VC world because it’s only a matter of time before more VCs will flow into Hollywood.